Very Cool. Way to go David! Thank You for the great music. This musicprojekt will support the foundation of David a lot! The problem with Transcendental Meditation is that if you go past the “20 minutes twice a day” level of participation it becomes a full-blown cult. Google for “TM cult”. Really?! Is 30 minutes twice a day ok then? You know, maybe a few stretches and breathing exercises before meditation, and a few minutes resting afterward? Or is that bordering on being a cult? Practicing Transcendental Meditation for “twenty minutes twice a day” is fine. But the TM organization encourages people to go *far* beyond that, and many do. As people slide into deeper levels of involvement they can very soon start to believe that they can **physically levitate** (e.g. http://bit.ly/ehG99E and http://bit.ly/en4BYe). They think they can learn to become invisible and can learn to *literally* attain the physical strength of an elephant, and that many other supernatural feats can be learned as well. And that’s just the beginning (http://www.suggestibility.org/stillFalling.shtml). And all of this adds up to a lot of money. At the deepest levels of involvement severe psychological damage can result (http://www.suggestibility.org/surprise.php). The head of the TM organization wears a gold crown and calls himself the “Great King” (“maharaja”) of The Global Country of World Peace. He has a number of assistant Kings (“rajas”) that also wear gold crowns. They each govern different areas of the world, and each paid $1,000,000 for the privilege. Here is a picture of of TM’s King of America standing behind TM’s King of the World: http://bit.ly/eZCI7E. Anyone truly interested in TM will want to see this: http://bit.ly/fcTgdH (here’s the Facebook page: http://on.fb.me/hf5zi3). David Sieveking is a young filmmaker who is a devoted fan of David Lynch’s films. On Lynch’s recommendation Sieveking started TM and started making a film about it. During the process of making the film Sieveking began to discover some things that unsettled him, and he documented them in the film. When Lynch got wind of what they were he threatened a lawsuit unless he could approve the final cut (I have this straight from Sieveking personally). 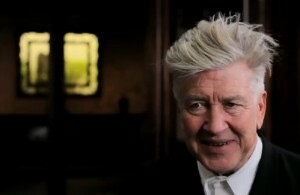 What is Lynch worried about? He has a lot more money than the small production company making the film, and because of the attempted suppression the film has only been released in Germany, but you can get it from amazon.de: http://amzn.to/hwyayy. You can use the same userid and password as on amazon.com, and can use Google’s translation service to help you: http://tinyurl.com/4hdxuox. However Google can’t translate images so the best thing to do is to start buying something on amazon.com and follow along with the process on amazon.de. This david lynch, TM, mumbo jumbo non- sense sounds like a bunch of satan inspired new age crap. where are the black – eyed peas when you need them. Yogic Flying looks like fun! My feeling is why knock it if you haven’t tried it. I’ve been meditating for about 10 years and it ALWAYS gives me clarity, joy and inner peace. For me it’s not a form of addiction at all – sometimes I do it; sometimes I don’t have time. But it’s a tool to help people reduce stress and feel calmer. What’s wrong with that? “Satan inspired new age crap.” Hmmm… because there’s nothing nonsensical about Christianity, which in my opinion, is as indistinguishable from any other cult. Religion: control of the many by the few. I have no doubt in my mind that meditation is beneficial, but I don’t think you need to pay thousands of dollars to receive personal instruction and a mantra.